Acronis to have increased their sponsorship looking at the size of their name on Kubis helmet. Good news. Claire would kill him if he told them. According to my friend in the team, the car will be Very Beautiful. He told me nothing about the sponsors. Of course, Very Beautiful is a relative opinion. Should be a nice metallic blue and white scheme again colour wise. 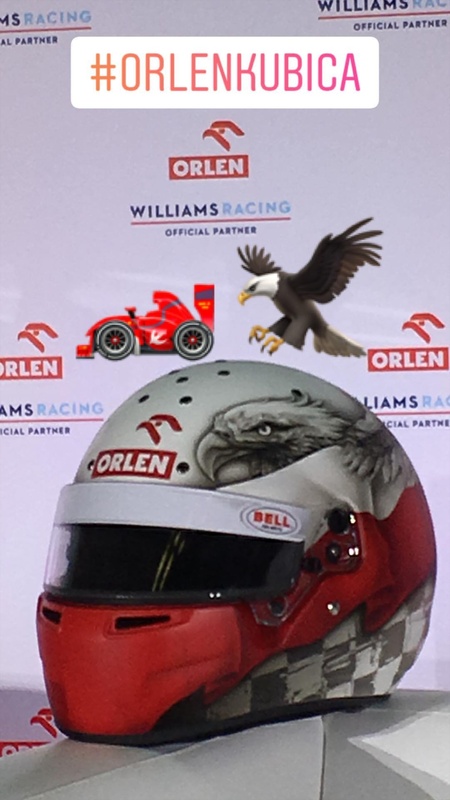 Didn't expect the orlen logo on the rear part of the rear wing. That means that the front part of the wing is reserved for another sponsor. 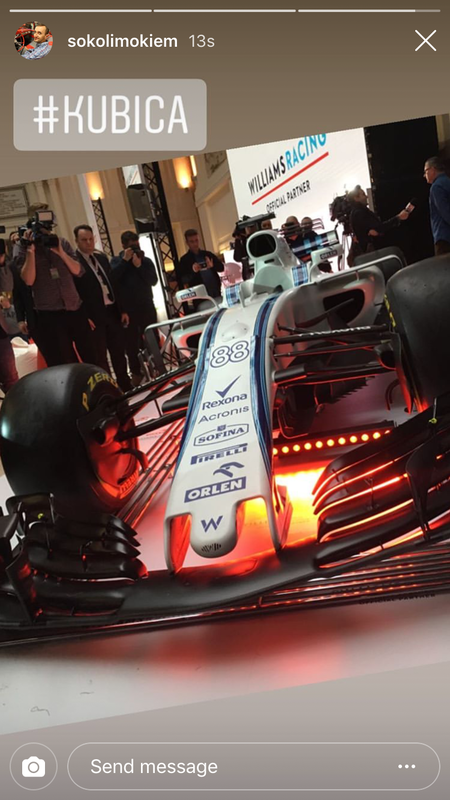 RK: The design of the FW42 is near completion. The design or the build???? I think he said design. I think its normal. There is still some time to build the cars and do the first engine run. I'm ok if the car is the last one to be launched as long as it hits the track from first day of testing. In last few years, we have been the first to show it, sometimes first to do a shakedown & we gained nothing by that. If i'm not mistaken last time we havent built the car in the factory before the Barcelona winter tests at all and the first time we did that was on the filming day in Jerez? Not saying this will be the case this year of course. Going by the helmet design and the little picture on the advertising board. Could we have a mainly red car.? His helmet design had this colors even in bmw years, based on colors of Poland flag I think. I don't think the car goes for a red livery, we don't have a title sponsor to dictate the color. RK said that we started working on the FW42 in may and the feeling about the car inside the team is positive but we need to make sure that we start the testing with the car we currently see on the data. Edited 1 time(s). Last edit at 29/01/2019 22:06 by ihme.